My husband and I are expecting our first baby, a BOY, this December! 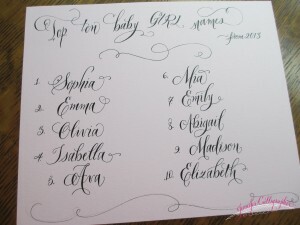 Earlier in the year we had such fun going through baby names, listing our favorite girl and boy names. 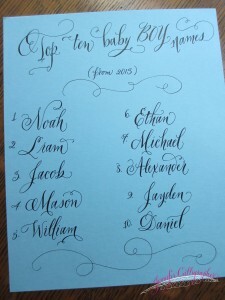 Did you know the Social Security site has a listing of all the top baby names? The list they have is from 2013’s data… but what’s so fun is that you can type in a name and see where it’s ranked throughout history in popularity. Kinda cool! 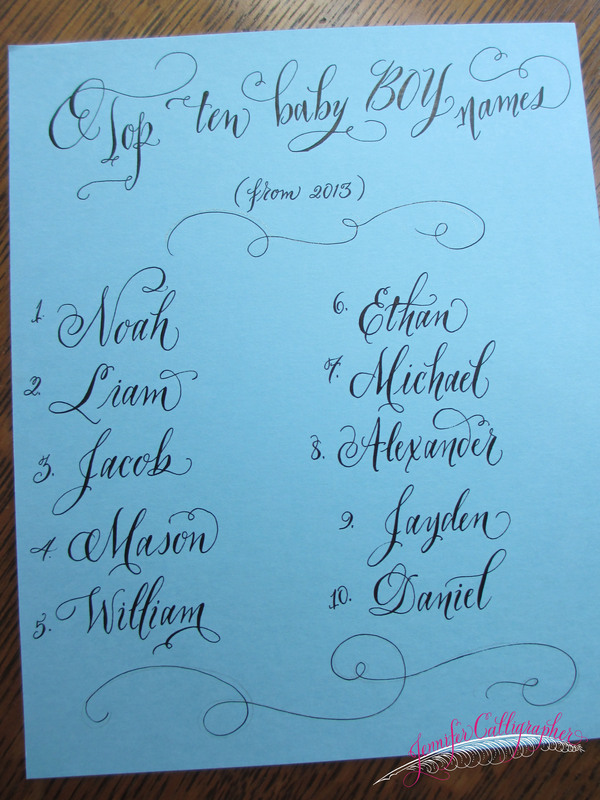 and here are the top ten baby boy names! You might be interested to know that in Texas, the most popular boy’s name last year was Jacob, and the most popular girl’s name was Sophia!